I love the smells and flavors associated with Moroccan dishes, like tumeric and cumin. Add a little cinnamon and garlic and you have smells that make your stomach gurgle in anticipation. They are also great spices for our health. 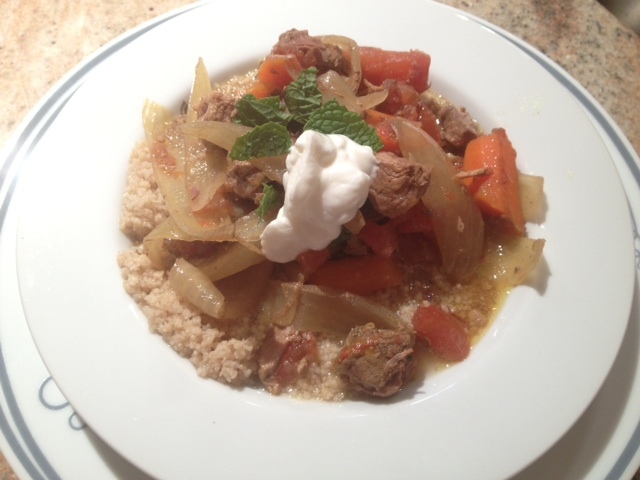 Last weekend my daughter made a Moroccan-style lamb crockpot (368 cal). It smelled delicious as it cooked all day long. 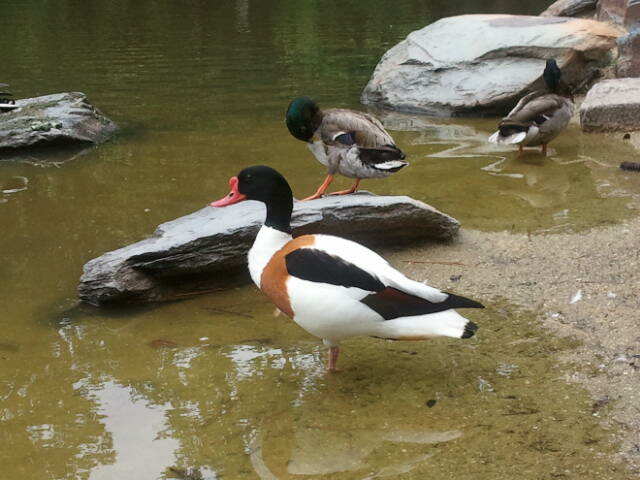 At dinnertime it was served up on couscous. The juices from the stew were delicious with the couscous, which I find can be dry without a sauce. It was topped with a dollop of Greek yogurt and a spray of mint. It was appealing to the eye when served up and tasty to eat. To make it a meal we added a Spinach Pear Salad (72 cal) for a total calorie count of 440. It was a hit and a definite repeat. Adding flaxseed to the foods you eat regularly can improve your heart health and digestive system. It also can help control your weight and fight cancer. For something so small, flaxseed has big benefits. Recent studies have shown that flaxseed, known to the world for thousands of years, may aid in lowering cholesterol, stabilizing blood sugar, reducing bone loss, promoting weight loss, increasing immunity, and fighting cancer, says clinical nutritionist Stella Metsovas of Laguna Beach, Calif.
Phytochemicals, including many powerful antioxidants such as lignans. In fact, because it’s a plant, flaxseed is one of the best sources of lignans around, Metsovas says. 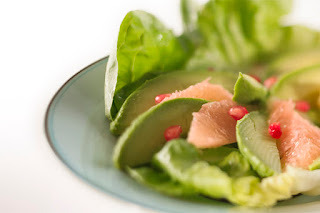 Omega-3 fatty acids, key to fighting inflammation. 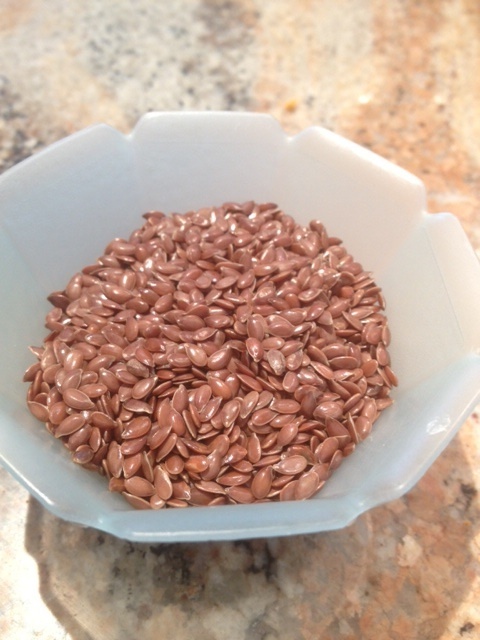 Flaxseed is a mega-source of the plant version of omega-3 called alpha-linolenic acid (ALA). Flaxseed oil is about 50 percent ALA — five times more than walnut oil or canola oil, which are the next highest sources of ALA.
Lower blood cholesterol and blood sugar levels. The soluble fiber in flaxseed has been shown to lower cholesterol, helping to prevent the buildup of plaque, which can clog arteries and lead to high blood pressure, stroke, or heart attack. Fiber is also believed to lower blood sugar levels, which is important for people who have type 2 diabetes. Help with weight management. Flax expands when ingested, making you feel fuller. You might want to take flax 30 minutes before meals to control your appetite. Improve digestive health. The fiber in flaxseed can help relieve constipation and make you more regular. Increase immunity. ALA has been shown to decrease inflammation, which allows your immune system to function better. Preliminary research suggests that flaxseed can help relieve autoimmune and inflammatory disorders such as rheumatoid arthritis, psoriasis, and lupus. Metsovas says that, despite all the good research about flaxseed benefits, false claims about flaxseed do exist and more research is needed. She also thinks that fish oil, and its omega-3s, are more beneficial. “Although I hold flaxseed in high regard when it comes to fiber and colon health, I do not believe plant sources of omega-3s are as beneficial as fish oils,” she says. There are other cautions. “People who have inflammatory bowel conditions, like Crohn’s disease, should avoid flaxseeds due to their laxative effects,” says Metsovas. Women who are pregnant and mothers who are breastfeeding should not consume ground flaxseed either. Studies also show that women who have issues like fibroids, endometriosis, and polycystic ovary disease should not eat flaxseed. And, Metsovas adds, men who have an increased risk of prostate cancer should avoid ALA. If you are taking medications, check with your doctor before adding flax to your diet. Grown in Central Asia, North America, and Europe, flax is found on the shelves of many conventional and health food stores as ground flaxseed, as whole seed, or flaxseed oil. 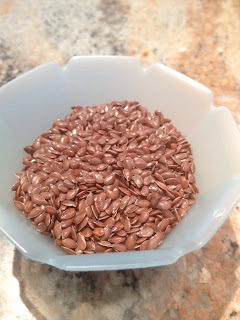 Flaxseed oil comes from cold-pressing the flaxseed. Flaxseed oil is available as organic or conventional. The difference is the way the flax is grown. Flaxseed oil — the fat part of the plant — is richer in ALA than whole flaxseed. Metsovas suggests buying it whole, then grinding it before you use it. “Because flax is a seed that contains fat, purchasing a product that is already ground could make the fat prone to oxidation,” she says. You can easily grind it in a coffee grinder, food processor, or blender, and decide on coarse or fine — it’s a matter of preference (although most recipes call for it to be finely ground). Kept at room temperature, whole flaxseed should last more than a year. Ground flaxseed should be kept in an airtight container in the refrigerator; it should be good for about 90 days. For most healthy adults, Metsovas recommends 1 tablespoon a day, and no more than ¼ teaspoon a day for young children. Because flaxseed is high in fiber, when adding it to your diet, start with small amounts and increase it slowly. A tablespoon of ground flaxseed has about 36 calories while a tablespoon of whole flaxseed has about 50 calories. Sprinkle flaxseed on your cold cereal or hot oatmeal at breakfast. Add a teaspoon of ground flaxseed to the mustard or mayonnaise that you spread on your sandwich at lunch. Blend flaxseed into juice or smoothies. Sprinkle on salads or in soups. Mix a tablespoon of ground flaxseed into your yogurt. Add flax to tomato sauces or to casseroles. Add flaxseed to meatballs or meatloaf. Flaxseed is a great way to get fiber and important nutrients into your diet. Experiment with it in your favorite recipes to boost their nutrition profile. For more nutrition news and trends, follow @weightloss on Twitter from the editors of @everydayhealth. So much of the reading I have done about satisfaction at the end of a meal points to engaging our minds and body in the process of eating. This includes our taste-buds. Studies have show that if you activate more areas in your mouth at a meal, you will end up with a more complete experience and feel more satisfied as a result. What I have been experimenting with is creating recipes that are both savory and sweet. Those tastes activate different parts of our mouth so we can feel more requited after eating. I want to find the solution to the "bag of potato chips" phenomenon. Because potato chips are only salty you can never eat enough. You just want more! And then, suddenly, you realize you have eaten a whole bag of potato chips and still want more! My family is really enjoying the combinations of flavors I have been creating. 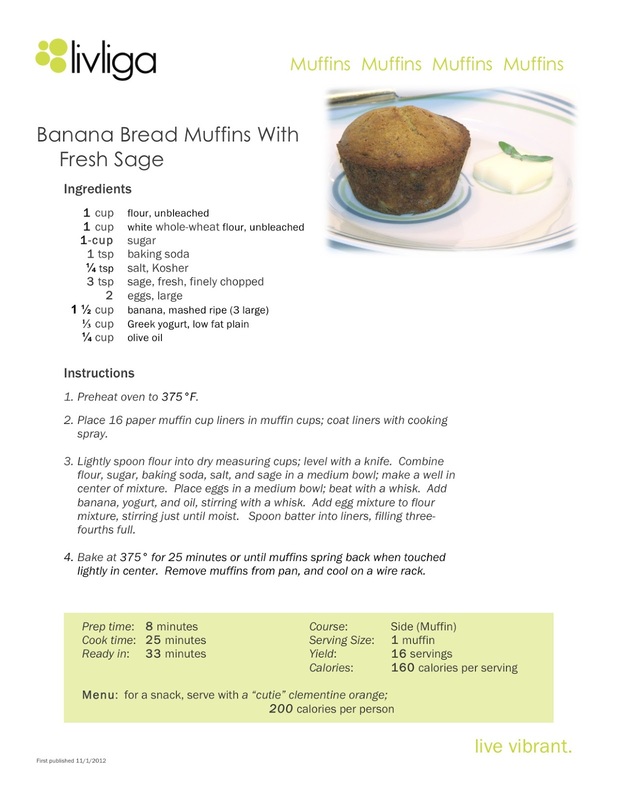 This Banana Muffin with Fresh Sage recipe is a good example. All would say they are tasty and flavorful. Pretty darn satisfying too! For 200 calories they are a good addition to a salad at lunch or can be a great snack at mid-morning or afternoon. Try them out and see what you think. 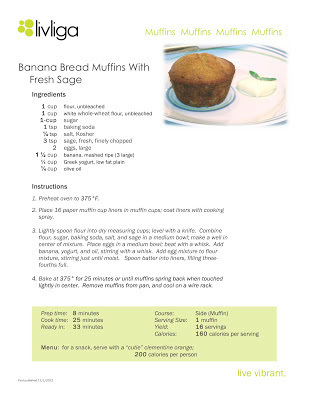 For more of my recipes that are easy to use and print out go to livligahome.com. 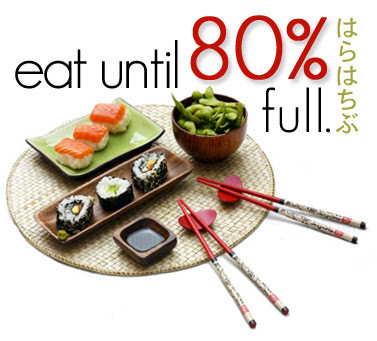 There is a well known phrase in Japanese "harahachibu" which means-- eat until you are 80% full. It truly reflects an attitude about life. In America we are used to eating until we are more than full-- stuffed. Learning to feel satisfied and feeling better with less requires a different frame of mind. The one thing I have noticed is that I have to regularly spice up my exercise routine to keep motivated. I need to keep learning something new. Now that I have been working out regularly and consistently, I no longer have the fear I did have learning how to use different machines or routines. Now I actually look forward to it. 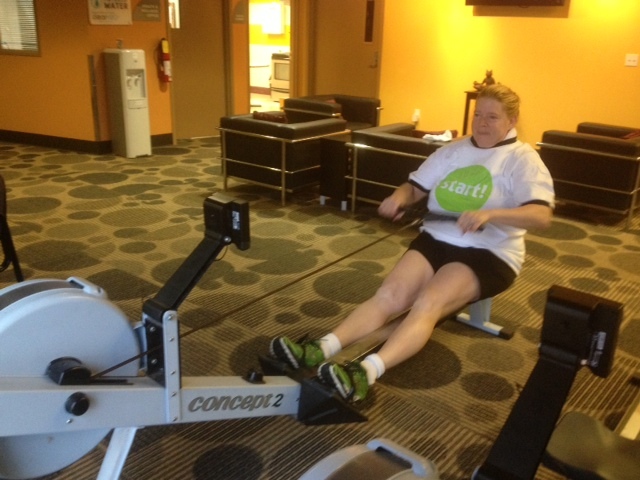 Recently I decided to take on the rowing machine. Both my sons rowed in college. I would watch them on the rowing machine we had (a hand me down) in our basement when we lived in Kansas City. I watched, I never tried it. I was always curious about it and wondered how hard it would be to do it. Now, many years later, it was time to try it out and see for myself. I love it. You can change your speed and your resistance.There is a rhythm you reach that is very compelling. I get in my groove and go. It is a great choice when I want to sweat and burn calories. It is now a standard for my weekly cycle of exercises. It is so easy to make a meal vegetarian these days. As an example, in the organic/vegetarian section of the grocery store, you can find soy crumbles that are a great stand in for ground beef in any recipe. We were in the mood for chili and had the makings for our old family favorite-- Julia's Chili-- which is traditionally made with ground beef (336 cal). However, it was a vegetarian night for our household. As luck would have it, I had a bag of the soy crumbles (thanks to a 2 for 1 sale) in the freezer. So instead of the ground beef we used the soy crumbles. It was delicious and had the same satisfying effect any well made chili has on the soul and body on a cold winter's night. 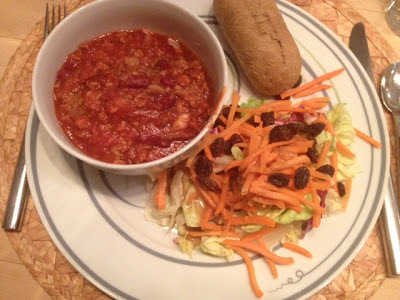 To complete the meal we had a tossed green salad with shredded carrot and raisins (93 cal) and a whole wheat roll (110 cal) for a total calories count of 535. It was a great meal and a definite repeat. 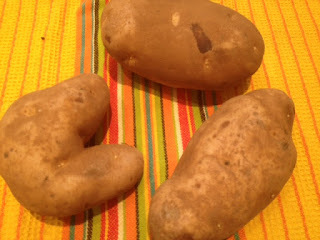 The no-carb craze made spuds out to be dietary villains, but these starches actually have appetite-slaying superpowers. They contain a special type of starch that resists digestive enzymes. Because potatoes take a while to break down, they stay in your intestine longer, delaying the onset of hunger pangs, says Katherine Beals, Ph.D., R.D., a clinical associate professor of nutrition at the University of Utah. Have a baked potato with dinner (a medium spud is only about 100 calories) or better yet, try potato salad made with vinegar instead of fattening mayo; chilling cooked potatoes increases their hunger-busting abilities. Of course, potatoes cooked in a vat of oil (think French fries and chips) are still bad for your bottom line. Oatmeal is so good for us. It has been proven to lower our cholesterol. It is also one of those foods that keeps us feeling full throughout the morning so we are less tempted to snack on unwanted foods. 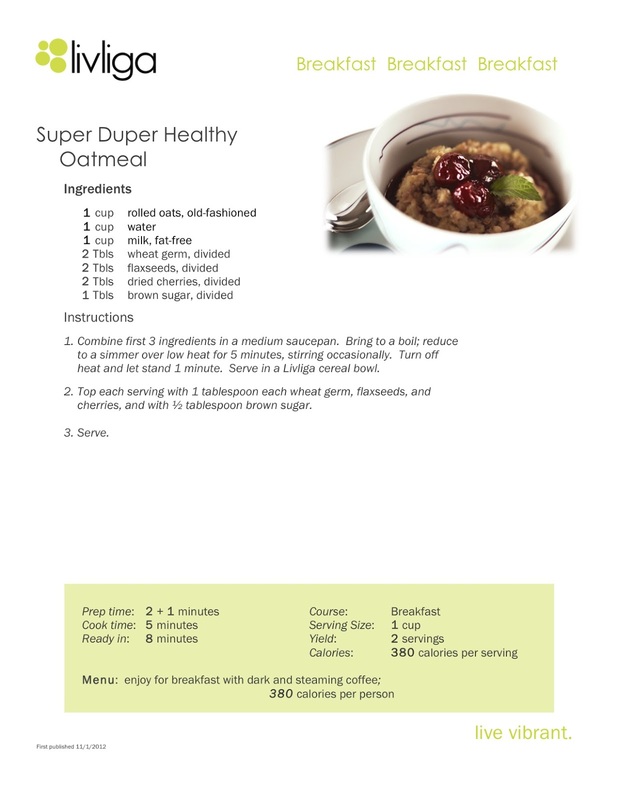 I invented our version of an oatmel breakfast that I wanted to share. Even since developing this rerecipe I have discovered it is better to eat the flaxseed ground than whole so you might well want to do the same. The way we do food is the way we do life. Slowing down with meals, then, is symbolic of relaxing into our body, our career, our fears and desires, and anything life presents. 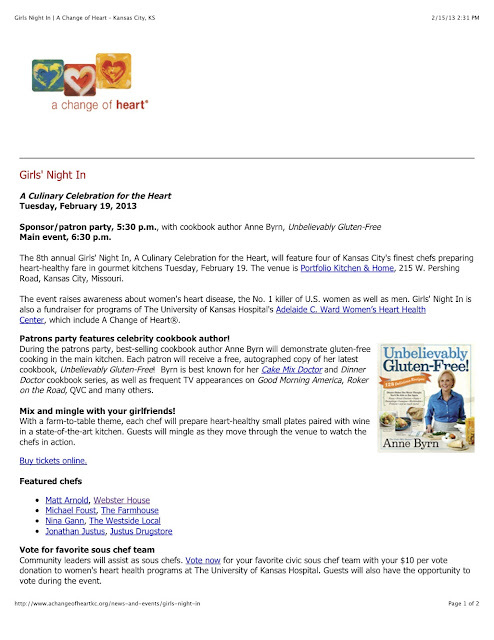 It is wonderful to see that health oriented events are now also focusing on serving and sharing ideas about healthy foods and lifestyle. 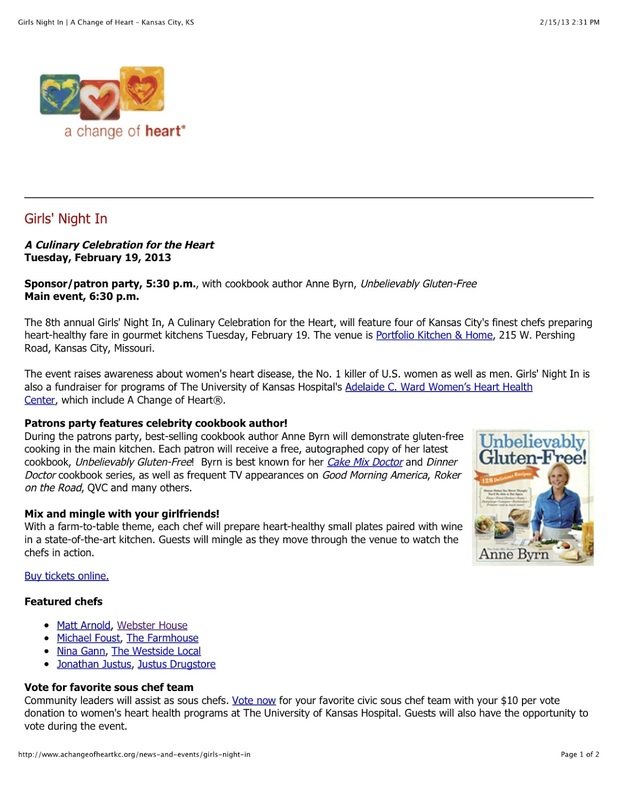 Livliga was recently invited to take part in this "Girls' Night In" event which benefits the Heart Health Center for women at KU Medical Center, in the Kansas City Metro area. Our dishware will be on display in their education area and will also be used as giveaways during the evening. We are thrilled to be a part of this event and wanted to share it broadly with others in case they can attend. Together we can have fun, be healthy and learn something new to take home and use. Live Vibrant! May your Valentine's day be mindfully indulgent! Wishing you a Happy and Healthy Valentine's Day! Grapefruit diets went out of style with Jane Fonda aerobic videos, but this citrus is staging a comeback. In a study at the Nutrition and Metabolic Research Center at the Scripps Clinic in San Diego, people who ate half a grapefruit with each meal lost an average of 3.6 pounds in three months. According to Ken Fujioka, M.D., the study's principal researcher, these yellow-orange orbs lower your postmeal levels of insulin, the hormone that regulates blood sugar and fat metabolism. There are certain foods and drinks that connote "celebration". The challenge for me has always been to moderate my choices in moments of celebration. 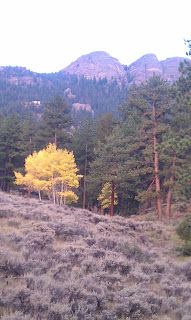 How to celebrate and still be mindful? This is one of the journeys I have been on...to find yummy foods that make me feel like I am having a special moment with out the consequences. 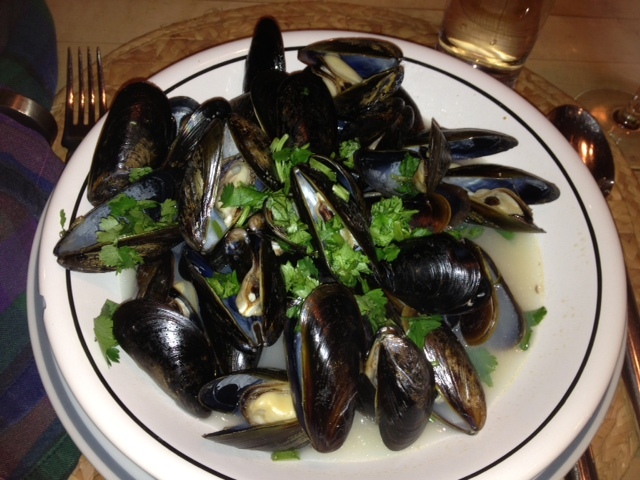 One such food for me is steamed mussels. They are easy to prepare and look bountiful when served. They are also beautiful to look at with their shiny shells and carefree way they stack upon each other. The recipe I like most is Mussels with Garlic, Wine and Cilantro (156 cal). To complete the meal I serve a tossed green salad with quartered artichoke hearts (75 cal) and French bread (110 cal), which is really good when soaked in the broth of the Mussels. And since it is a celebration I include a glass of crisp and fruity Sauvignon Blanc (119) for a total calorie count of 460. This leaves room for a little intentional indulgence at the end of the meal. By including more time with food you can elevate yourself from a mammal that feeds to a human being who eats. Light a candle at the table, play sweet music, decorate your eating environment with objects of beauty and mirth. If you eat out, choose a restaurant that has a relaxed and nourishing atmosphere. If you are eating take-out food, find a peaceful or celebratory place outdoors to enjoy your meal. Dine with eating companions who nourish and inspire you. Let your conversation be elevating and free of negativity or gossip. Notice your posture as you eat. A straight spine allows for fuller, deeper breaths. 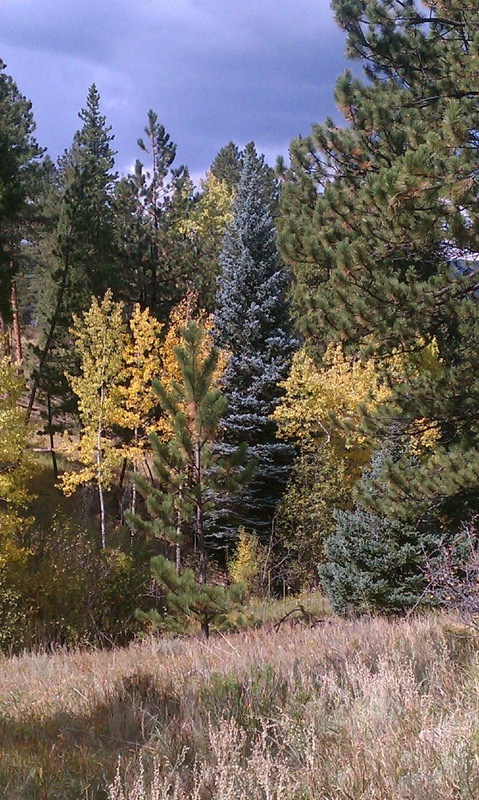 During your workday, take a breathing break. 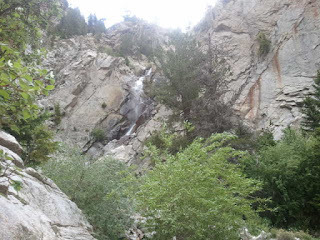 Go outside for some fresh air, even if only for a few minutes. Use eating as a time to let go of all worries and work. Use juicy and positive thoughts to assist you in assimilating nutrients and burning calories. If you insist, you can resume worrying and working once your relaxed and nourishing meal is complete. Honey Balsamic Bean Salad-super easy! Bean salads can add flavor and satisfaction to just about any meal. They are also a very flexible dish. Depending on your schedule, you can make a bean salad the day before. It will also keep nicely for a few days in your refrigerator to be used for lunches and even afternoon snacks. Since they are hearty and packed full of protein, they are a good dish to help us feel full and satisfied. 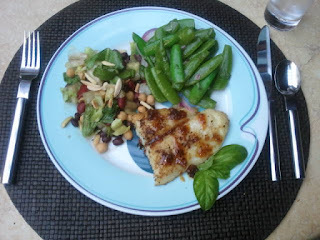 I recently made this Honey Balsamic Bean salad (240 cal) to add to our Citrus-Jerk Fish dinner. It is a three bean salad with panache. And so easy to make. The beans can be canned and sitting in your pantry. You can buy your romaine lettuce in a bag pre-washed and pre-torn to use. 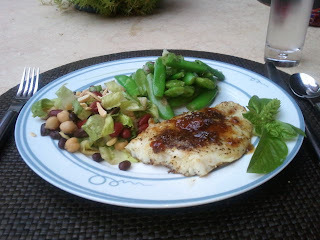 Then while the almonds are toasting you can put together the dressing of Balsamic Vinegar, honey, lemon juice and oil. It is visually appealing and tasty. This would also be a good salad for a picnic or to take to a potluck. I served this bean salad with a Citrus-Jerk Fish and a sugar snap salad (see previous blog/Feb 5/2013) for a total calorie count of 481. It was a dinner packed full of flavor and different textures to make it satisfying and filling. It was a hit and a definite repeat. 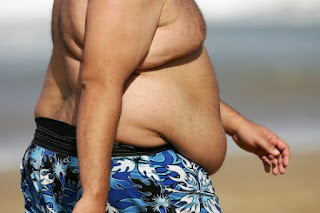 Obesity now kills 3 times more people than malnutrition! I am so stunned I had to write about this. I recently read in The Week magazine that obesity is not only a global epedemic, but it is now responsible for more deaths than malnutrition! "For the first time in history, overeating is now more of a global health threat than hunger. More than 3 million deaths in 2010 were attributable to excess body weight, three times the death toll due to malnutrition, according to the medical journal, The Lancet." I remember the days when Orange Roughy was the fish to buy at the grocery store. Now you can't find it anywhere. Instead, the meaty white-fleshed fish you can find is Swai or Cod. I resurrected a long time recipe for Citrus-Jerk Orange Roughy (151 cal) but substituted the Orange Roughy with Swai. Recipes are very adaptable, sometimes humans are not so much. I am glad I had the presence of mind to change things up. This recipe is super easy and takes very little time to prepare. The jerk seasoning adds a spicy flare to the meal. To complete the meal I served a black bean-rice salad (259) and a sugar snap salad (90 cal). The total calorie count for this meal is 500. As you can see, it is a visually appealing meal as well as tasty. I got a thumbs up from the family. It is a definite repeat. When it comes to weight loss, it is as important to relax and count our blessings as it is to count our calories. 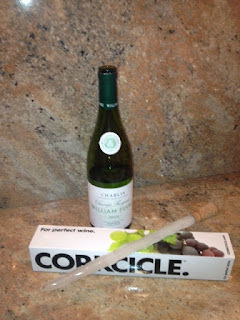 I have seen commercials and articles about the Corkcicle and always wondered if they worked. 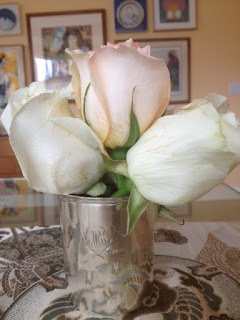 It seemed so handy and easy- my two favorite attributes when it comes to kitchen gadgets. Well my husband surprised me with a Corkcicle gift over the holidays. Now I could try it out for myself! It is easy to fit in the freezer. It freezes quickly. It has no problem fitting in all variety of wine bottles. It does keep the wine cool. I like the fact that it makes the wine portable so we can move outside of the kitchen and take the bottle of wine where we are and still have it remain cool. It also makes it easier for guests to feel comfortable serving themselves since it can be next to the wine classes and not tucked somewhere in a less than ideal spot in the refrigerator. And for those who mainly drink red wine it touts keeping it at the ideal temperature as well. A new gadget that is handy, easy and fun!